This Phillies history post from Philly Sports History is sponsored by Shibe Vintage Sports. Check them out for the latest throwback sports apparel! On March 20th, 1943, things finally started to look up for the Philadelphia Phillies. After being owned by the disastrous Gerry Nugent, who had sold all of the Phillies prospects to keep his own head above water for the past 10 years, the Phils were sold on that day to an energetic young entrepreneur named William Cox (the man he outbid? John Kelly, Sr. Grace Kelly’s dad). Only 33 years old, Cox was determined to turn around the fortunes of a team that had finished last or next to last in every single season that Nugent owned the team, and had finished over .500 once since 1918. Cox started with a bang, hiring future Hall of Famer Bucky Harris as manager. Harris had managed the Senators to two pennants, and his hiring energized both the players and the fanbase. Right off the bat, the Phillies showed improvement. In fact, they were in 4th place in the National League as late as June 30th, unheard of for a team that usually hit rock bottom two weeks into the season and stayed there. The team struggled in July, however, and by July 28th, they were back in familiar position, 7th place in the NL (out of 8 teams). The players were outraged, and threatened to go on strike if Cox did not apologize to Harris (right). So the next night in the clubhouse, Cox apologized to Harris in front of the team. But the two men sniped at each other through the press for the next few days, with Harris calling Cox “an All-American jerk” and Cox releasing a 2000 word statement essentially accusing Harris of insubordination. Finally, Harris dropped a bombshell. “He’s a fine guy to fire me, when he gambles on games his club plays.” The quote didn’t make the papers, but a Philadelphia editor sent a note to Commissioner Kenesaw Mountain Landis. Baseball began an immediate investigation. On November 3rd, Cox met with Commissioner Landis and admitted that he had made some “sentimental bets” on the Phillies, and that he didn’t know it was illegal at the time. The story reached a farcical level when Cox then told a story about how the whole thing was a trap to ensnare a disloyal employee, and that he was betting on games to “smoke him out”. Landis had a hard time believing this remarkable tale, and gave him a lifetime ban on November 23rd. Cox appealed. The following comes from a 2004 Baseball Digest article. 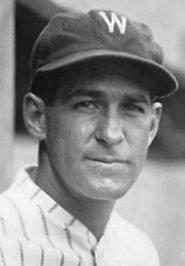 In Landis’ final hearing, on December 4 in New York, (former manager) Harris testified he was in the office when he overheard Cox’s secretary, Dorothy Massey, making a phone call asking for the odds on that day’s game. Cox was finished. He sold the team to the Carpenter family, who would run it until 1981. Cox went back to manufacturing lumber and would never be reinstated to baseball. Harris would return to baseball as manager of the 1947 Yankees, and would lead them to a World Championship that year. He led them to 94 wins in 1948, but it wasn’t enough to win the pennant and he was let go in favor of Casey Stengel. And you have to wonder what would have happened to the Phils if the powers that be had sold them to Philly legend John B. Kelly instead of a New York lumber magnate with a penchant for gambling.